We all need good sugars to support energy levels and proper brain function. Just that thought alone helps me justify my sweet tooth. Depending on the source, sugar can be called by other names such as sucrose, glucose, dextrose, fructose, lactose, maltose and many more. This whole thing can get quite complicated. For instance simple sugars are called monosaccharaides and refined sugars are called disaccharides. See what I mean……too complicated, so I’m going to keep it as simple as possible. I know some dieters just cringe when they hear the word carbohydrates, but we need carbohydrates. They contain glucose (sugar) and when broken down provide a fuel source for our bodies which we need for energy levels. Choose healthy carbohydrates that not only provide good sugar energy but also provide much needed fiber, minerals, vitamins and nutrients to fuel your body. Fruits, vegetables and whole grain products are good choices. Almost everything we eat contains some level of sugar (calories) and if we are consuming too many calories we can develop health issues such as obesity or diabetes. Believe it or not even table salt contains sugar. What foods do not contain sugar? It seems that meats and oils are about the only foods that do not contain sugar and of course manufactured products that are specifically made to be sugar free. ﻿Fruits are the most perfect food on the planet and provide good sugars along with water content, vitamins, minerals, nutrients and fiber, yet amazingly take the least amount of time to digest. Fruit is digested quicker when eaten separately or 20 minutes before any other food. The food combining section goes through digestion times and weight loss tips more thoroughly. My favorite healthy breakfast routine includes a serving of any kind of fresh fruit. It works like a mini detox every morning and is a great way to get your motor running for a busy day when you have lots to do. All vegetables contain some natural sugar such as carrots, sweet potatoes, corn, beets, peas and tomatoes. The best part is that these healthy foods also supply many needed minerals, nutrients and fiber that our bodies need to function properly and help fight disease. Whole grain products are plentiful in fiber which helps keep the digestive system in good working order preventing constipation. They include cereals, breads, pastas, brown or colored rice and any other whole grain product. Real maple syrup, molasses and honey can be used as a sugar substitute that offer added health benefits. Honey is quite popular used in tea, coffee or as a topping on breakfast cereals such as oatmeal. Any low fat dairy product that is not pumped full of extra sugar is a good choice. Unfortunately this section is huge. Refined and processed foods may taste yummy but have been altered so dramatically they are literally stripped of their nutritional goodness. Many of these foods contain a lot of calories but little or no nutrients for the human body. Think of it this way, the more processed or altered a food is from its natural state the less nutrition it will provide. Foods with natural sugars are the healthiest for you. 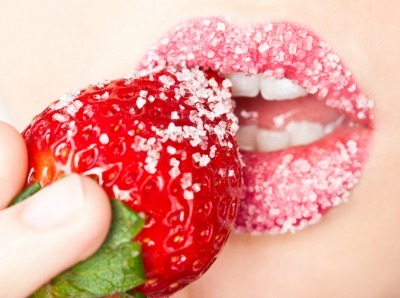 The bottom line is that refined sugar provides empty calories. It is a stimulant and not a nutrient and can be found in many products such as sodas, chocolate, candy, chips, baked goods and processed foods. A little sweet treat now and then isn’t going to hurt. Everything in moderation they say. So a piece of pie with a little ice cream or a handful of chips isn’t a crime unless it becomes routine. It is just like we know that whole wheat pasta is healthier but it wouldn’t be a big deal if you enjoyed a bowl of regular pasta now and then. All is good in moderation. The moral of this story is try to consume healthier calories whenever possible and limit the useless ones that only cause weight gain.